This fascinating trek starts from our village, Mudh, at Pin Valley and ends in Kafnoo in Kinnaur crossing Bhabha Pass at 4640 meters. The trekkers witness a dramatic change in the landscape - from the barren mountains of Spiti to the lush forest and and meadows of Kinnaur. 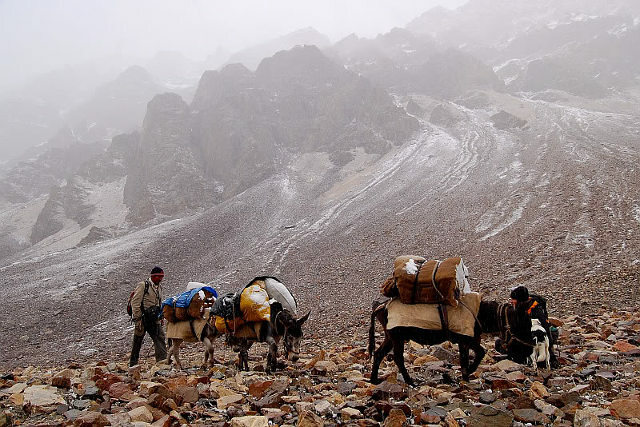 The route has been used by the locals and shepherds for many years which makes this trek slightly easier compared to Pin Parvati pass trek, another fascinating trek in this region. 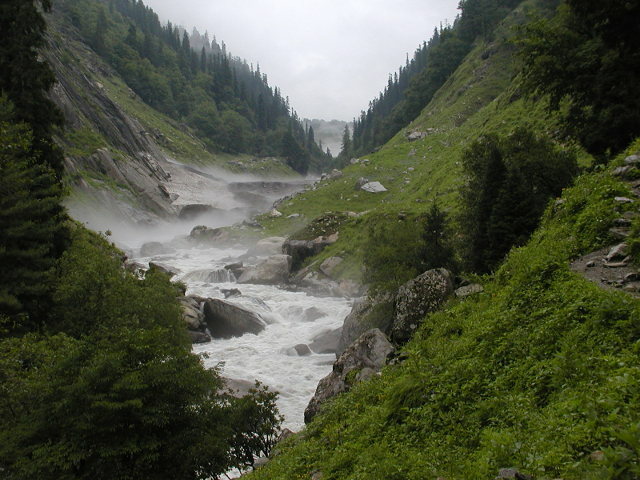 The trek can be started from either sides - Pin valley or Kafnu. 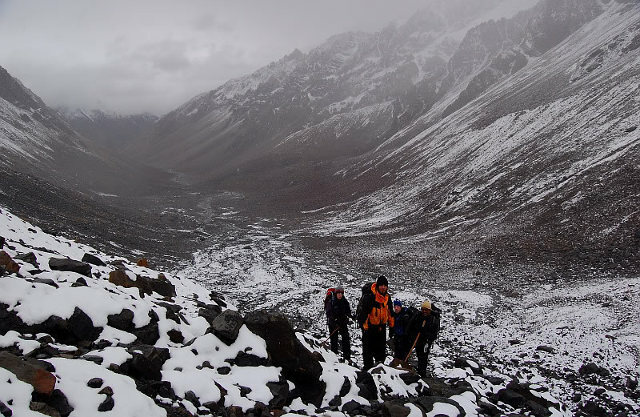 Pin Bhaba Pass is classified as a moderate-difficult trek. So you are supposed to have some level of fitness to do this trek. Chances of snow are there even in the summers. You are strongly advised to get a professional guide. We, Spiti Tara adventure, offer full support for the trek including camping equipments, guides, porters, food etc. Altitude- 4900 to 5200 meters. One Shimla Sight seen of places of interest and around Shimla. Two Shimla – Sharahan After breakfast we travel on Hindustan –Tibet border road toward Sarahan via Rampur. Today drive provided beautiful view of great Himalayan ranges. Visit BhimaKali temple. At night stay in hotel at Sarahan. Three Sarahan – Kafnoo After breakfast we travel to Kinnour Valley and reached in to kafnoo which is starting point of the trek. We set camp near the dam. Four Kafnoo – Mulling After breakfast the trek start through a small village Masrang and dense forest. After one hour of steep climb the path gradually ascends to the composite, a lush green meadow on the banks of the Bhaba River which is the main tributary of Satluj River. We set camp with beautiful view surrounded forest. Five Mulling – Fustirang First one hour walking from the nice lush green alpine meadow of forest. We cross the natural (Nicul) rock bridge over the steep climb to karak.. karak is flat grassland land where breed farming of sheep and goats which specially under the government. After a river crossing of karak and two hour walking we reached the base camp of Bhaba Pass. Six Fustirang – Balder oday the first three hours is steep climb until to reach the top of the Baba Pass of an altitude of (4865mtr) on the pass. There are absolute grant views of different mountain ranges from there. After cross the Pass we go downwards to balder through the dessert and rugged valley. We set camp near the balder. 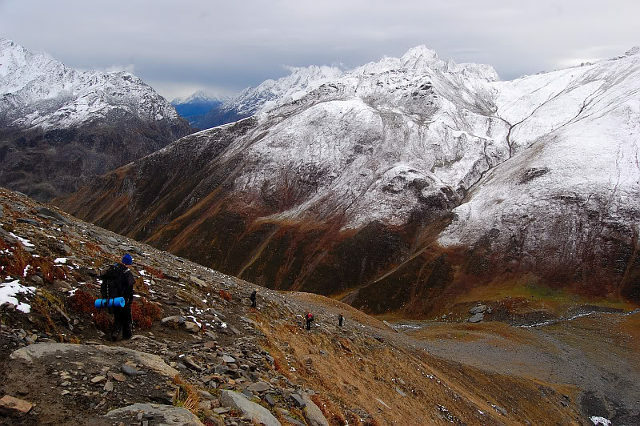 Seven Balder – Mudh After leisure breakfast the trek start through open valley with majestic view sparking mountain ranges and strange landscape of pin valley. 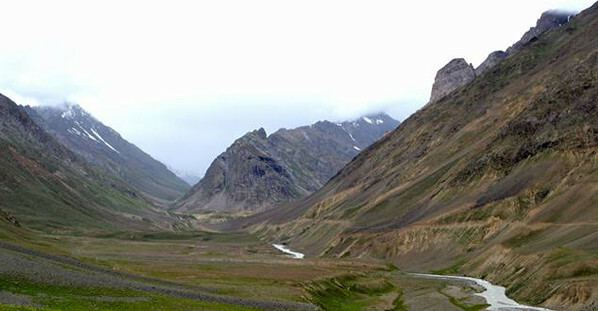 Last day of trek involves many activists like (river crossing) and lead to ancient village of Pin Valley (Mudh) the first village of spiti valley. We set camp near the green fields. Eight Mudh –Kugri – Tabo Enjoy the finest view of Pin Valley we drive toward to Kungri monastery. Centuries of old Monastery is situated Kungri in Pin Valley which is the main sect of Nyingmapa(Buddhism). we visit around the monastery and spend few moment to explore the Monastery. Later we travel to Tabo check the hotel and visit the ancient monastery which is known as the ‘Ajanta of Himalayas’. Nine Tabo – Dhankar – Kaza After breakfast we drive toward to kaza. From a distant before a kaza we visit to rockey setting Dhankar Monastery which some time capital of spiti valley. When ‘nono’ rule on Spiti valley. Explore the Monastery and later visit through beautiful small villages of Bar Valley After a quiet journey we reached in little town of Spiti Valley / Kaza. Ten Kaza – Ki – Kibber – Kaza After leisure breakfast we walk around Kaza and visit to Ki monastery and later kibber village’s afternoon travel to Tashigong village to see the chao Chao kang Nilda Peak.and later come back to kaza. Eleven Kaza – Manali After visit Spiti Valley we drive to Manali to cross over Rohtang Pass and Kunjam Pass few hours journey we reached in small town of Manali.